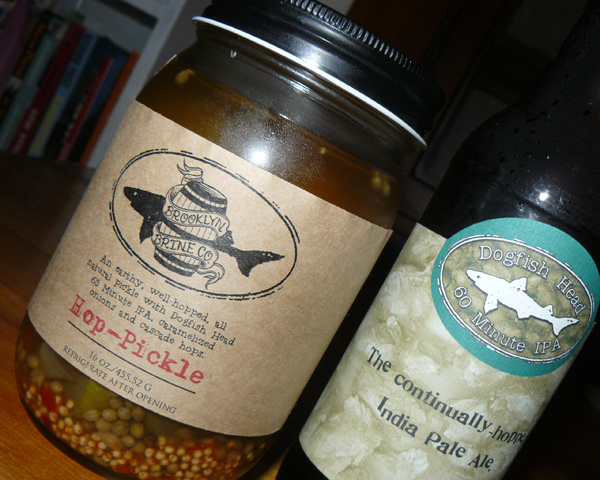 I love pickles almost as much as I love a good IPA. So when I first heard about Brooklyn Brine Co.’s new Hop-Pickles made with Dogfish Head 60 Minute IPA, I knew I had to find a jar as soon as possible. It took me a couple of weeks to track them down, and the Hop-Pickles sure weren’t cheap. But they were worth every penny. The pickles don’t really taste like IPA. They’re very sweet at first, and when you bite into one—they’re pickle slices, not spears—you immediately taste apple-cider vinegar and some sweet maple-syrup flavor. Then, very briefly, you taste the hops before a spicy habanero flavor takes over and combines very nicely with the vinegar. 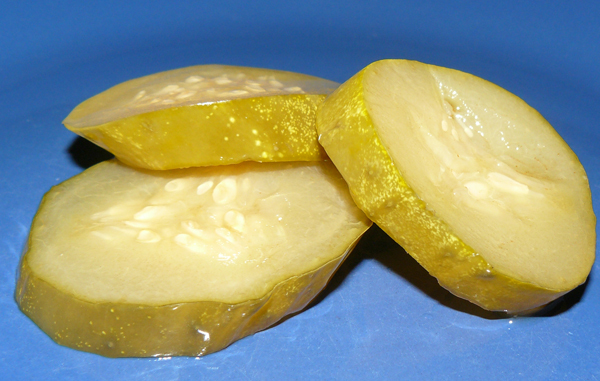 These Hop-Pickles are delectable and unique. They’re a perfect snack food, and they go great with a frosty IPA. As mentioned above, they’re fairly expensive—I paid $12.95 plus shipping for a 16-ounce jar from Amazon.com, but they’re also supposedly available in some specialty food stores. If I found them in a store and didn’t have to pay for shipping, I’d definitely buy them again. 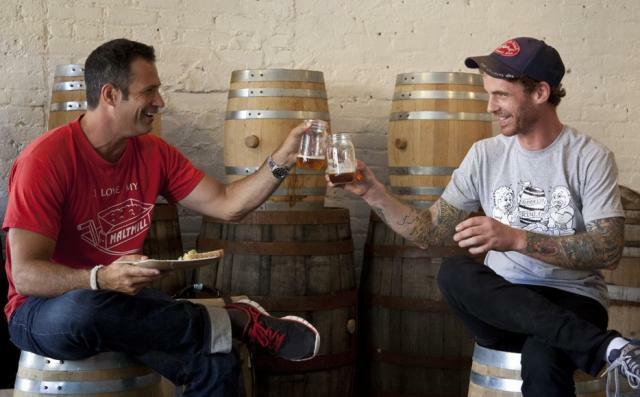 Read more about Brooklyn Brine and its Hop-Pickles made with Dogfish Head 60 Minute IPA on the company’s blog.